Future plc’s AV Technology brand is pleased to announce its Best of Show winners at InfoComm 2018. This Best of Show list, from an exhibition of thousands of solutions showcased by more than 950 manufacturers, represents outstanding achievements in product development. Six AV professionals, including CTS-certified technology managers and AV/IT engineers, judged each product live on the show floor on days one and two of InfoComm. The enthusiastic response to AV Technology’s Best of Show program reflects the growing interest of technology managers and end users in InfoComm, according to Adam Goldstein, executive vice president at Future plc. “We’re very pleased to see tech managers continuing to engage with both the InfoComm show and our publications,” he said. Today’s newspapers are awash with daily stories of retailers having to transform their business models from yesteryear to stay afloat as our high streets evolve and customer habits and expectations change. Recent articles discussing the fate of Mothercare, Marks & Spencer and House of Fraser are just a few. No longer is it enough to carry a range of products and expect customers to repeat purchase from a store and be brand loyal. Today’s customers are far more sophisticated and need their loyalty to be warranted and rewarded – but what can today’s retailers do to raise their profile against the competition and retain customer loyalty? For many retailers the perfect answer is technology and they have acted accordingly. However, others are still on the fence, waiting to see how their competitors fare, but they do so at their peril. Retailers need to act now, but act purposefully to benefit from the advantages that technology can deliver in building brand loyalty. One thing retailers need to drill down on quickly is what their brand stands for and create a sense of this in their retail environments. 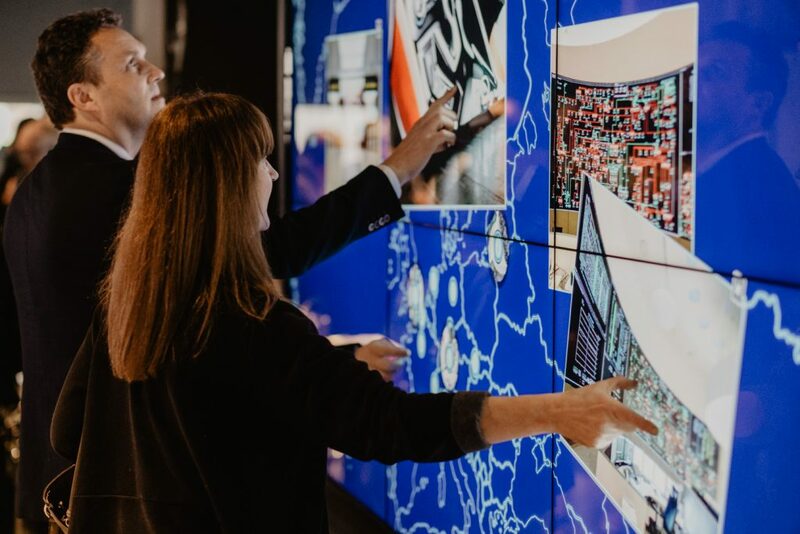 The role of the high street store has radically changed in recent years and whilst many retailers are cutting down their number of high street outlets, they are in the process of recreating the ones they maintain, to showcase their offering, with immersive customer experiences. The in-store experience provides retailers with the opportunity to underpin everything that their brand stands for and how they want their customers to feel about it. It provides a platform to engage with their customers and ‘surprise and delight’ them with their offering, leaving consumers with a positive experience of the retailers’ values and a desire to revisit and repurchase. Customers are able to switch between brands online and will happily comparison shop, so maximising in-store experience is a great opportunity to deliver core messaging, when distractions are at their lowest. Because it is so immersive, the in-store experience has therefore become paramount to establishing and maintaining brand loyalty. There is a danger in retailers acting before they have clearly defined what is the best way forward. Many make purchasing decisions in haste which in retrospect they regret – investing in technology options that won’t necessarily achieve their long or even short-term goals. Therefore, prior to investing in technology, retailers have to understand their problems. They need to fully understand where their customer experience is breaking down and ascertain what the right solution is to alleviate these friction points. The keys to successful retail experiences are ‘ease and immediacy’. Retailers need to provide the best tools possible to ensure their customers have a great experience in-store and through all their retail channels. Obstacles like inconsistent sizing and stock levels, or paid-for and inconvenient returns policies, need to be eradicated before they result in consumers choosing an alternative, more convenient, supplier. Nobody should know their customers’ expectations and likes better than the retailer themselves. Consequently, they are the only ones who will know what functions they need their technology to provide and it is imperative they work with companies that have the right expertise to supply technology solutions that can deliver them. Many retailers are already working with technology partners to incorporate artificial intelligence (AI) and virtual reality (VR) into their systems and are using them as effective customer engagement tools. The insight AI extracts from data held by retailers helps them to deliver personalised, targeted messaging on an individual basis. Research shows that 80% of consumers are more likely to do business with a company if it offers a personalised experience. Consequently, consumer insight is vital and can be used as a powerful sales tool, ensuring all communications with a customer are relevant, add personal value and serve to build closer engagement with the brand – resulting in stronger loyalty going forward. VR is already being used to great effect by many brands, not only to deliver enhanced experiences instore, but to extend the brand into the customer’s home. 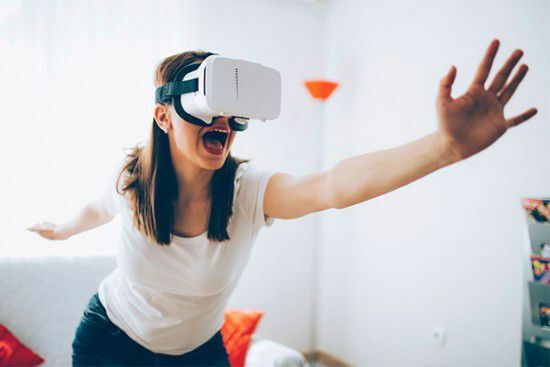 VR can be used in multiple ways to improve the customer journey from trying different clothing styles and make-up looks instore, to colour-swatching and mood-boarding rooms at home. When choosing solutions, the most important thing to bear in mind is that not all technology will suit all retailers and purposeful implementations are what will drive customer engagement. Some retailers are already using robots to assist in sales outlets. Pepper the android, a Japanese robot, has been helping with various forms of sales from coffee machines to mobile phones, but that doesn’t mean this approach will suit every customer or sales environment. Most retailers will benefit greatly from simply installing smart digital signage solutions. This technology can capture a customer’s data and be used to inform targeted message delivery throughout their instore journey and onto their online purchasing experience. This provides a holistic approach to consumer engagement through all channels. Once retailers have taken the time to truly understand their customers’ needs, shopping habits, the friction points in their customer journey and considered how they can best resolve them with technology solutions, they need to take the plunge and actually start harnessing it. The best advice would be to start with one form of technology, do it efficiently, measure its impact and, when confident with the results, roll it out on a broader scale and move on to the next element. When investing in technology though, retailers would be well advised to buy solutions which use standard language such as HTML and using common browsers like Google Chrome or Microsoft Edge. A solid CMS platform will drive content on all of the technology solutions at various levels of sophistication. These types of solutions will have greater longevity for the retailer, meaning they can more easily scale up their tech usage as theirs’ and their customers’ adoption grows. Consolidation is happening amongst many technology providers, so using these standard formats will enable greater extensibility for retailers’ technology estates and easier integration with other services packages such as social media platforms. A wise approach would be to invest in platforms that have greater functionality and features than retailers currently need, but that will suit their future requirements more readily. The smart retailer also needs to make sure that they invest in a sophisticated enough content management system that can push through content to all channels: instore, mobile and online. It should also have the capability to manage all the data collected on a customer to provide insight and assist with the all-important tailored message delivery to enhance customer communications. Fundamentally, whichever technology retailers are considering, one message is clear – it is key during this period of retail transformation. And harnessing the power it holds to maintain and grow customer engagement and loyalty is vital. Retailers that sit and watch how their competitors are proceeding will quickly lose their customer share and with it their hard-earned brand loyalty. It’s Rare To Find A Millennial That Isn’t Glued To His Or Her Smartphone, So It Doesn’t Come As A Surprise That The Traditional College Lecture Format And Notetaking By Hand Isn’t Exactly This Generation’s Cup Of Tea. As A Result, Professors Have Had To Approach Student Engagement In A Different Way. Audio-Visual (AV) Technology Plays A Key Role In Connecting Students And Professors In Creative And Collaborative Ways. College students use mobile devices to socialize, keep in touch with parents, handle finances, and more. Using technology in the higher education classroom is a natural progression for this generation that clearly prefers to engage on digital platforms. Student learning isn’t limited to one-sided lectures in confined lecture halls. Learning experiences feature interactive collaboration, flipped classroom activities, and blended classrooms. In an effort to reduce the overhead costs of education, many students are engaging in remote learning opportunities, which utilize collaboration platforms, data analysis, and synchronous and asynchronous video to engage students. For professors willing to embrace the innovations, the seamless integration of AV technology and IT solutions enhances classroom engagement and can even improve retention levels. In addition to the screens themselves, projector technology has advanced. Ultrashort throw interactive projectors improve the projecting ability on white boards, while lamp-free projectors enhance quality and machine efficiency. Classroom Sensors And Big Data Analytics. In 2015, Google provided Carnegie Mellon University with $500,000 to create an IoT platform to support everything from sensor-based data collection to app development. The university used the funds to create the platform GloTTO. Among the platform’s capabilities, the project lead believes the technology may change audio-visual experiences in the classroom by detecting environmental changes and improving technology diagnostics. While many of these changes are exciting, barriers to adoption include integration and wireless connectivity. For the AV solutions to transform the learning environment, they must work seamlessly and reliably with different consumer and commercial devices. From the beginning it’s been about the full visual experience for me rather than just what’s on the screen. It’s my background in theatre and arts technical delivery and the fact that I’ve grown up and worked with visual media for a while now that’s made me look at the complete event and not just individual aspects of a show. Because my career originated in theatre, this meant that I always looked at the full experience of the audience, made up from all of its component parts such as lighting, sound, set and playback. It came as quite a shock when I first moved into the ‘corporate’ world and found that these elements were not as ‘joined up’ as I was used to. It’s much better these days but there are still occasions where the first time that the complete visual experience is looked at is when the different disciplines arrive on site. It was a natural progression moving from the technical side in theatre to the management of an interactive media centre in Tamworth where we did pretty much everything from DTP to running rehearsal spaces through to live events. I even broke out into computer programming, but it’s these different skills that all have a part in what I do today. These assorted disciplines, combined with my knowledge of media playback and stage lighting all have a place in creating theatrical experiences for live events. It’s the synthesis of understanding performance, amalgamated with technical knowledge that helps me deliver the vision of artistic and creative directors – and often in translating their creative language into that spoken by the ‘technical’ world. It was in these early days that I initially worked closely with Jan Hüwel (ex ceo at Coolux GMBH, now executive director at ioversal GmbH) and the guys from Coolux. We tended to look at things in a similar way, feeling that because lighting and video were treated as totally separate disciplines this meant they didn’t always marry up properly. We recognised that all that was needed was different skill sets to enable lighting and video to talk cohesively to each other. Sharing a similar thought process with people like the team at Coolux, and now with those at disguise definitely inspires me. I like to push boundaries and there are many creative people out there who aren’t afraid to take on a challenge. It’s these risk-taking people that are combining technology, audio, video and lighting and using them in a way people don’t expect that can make experiences magical. They’re the ones that I tend to gravitate towards. I’m also a great daydreamer. I do long car journeys which allows my mind to wander. Quite often something seemingly completely unconnected will trigger an idea in my head allowing me to come to a solution to an AV conundrum. The other day I saw a kids wind turbine responding to a breeze which initiated an idea about how flags in a piece of video content could respond to real world influences such as wind strength. It was in one of my rare moments of ‘resting’ that I saw ITR were looking for help in some projection mapping and media server work at an open day they were organising. Fairly soon after the open day ITR founded Immersive AV and I joined them as technical director. Six months later I was asked to take on the role of md. I’d previously been technical director and media consultant to companies such as XL Video (PRG) and Creative Technology. Joining Immersive AV has given me an outlet for my creative maverick attitude and it’s part of the basis for this partnership with disguise. We like to provide the creative solution to the technical question, concentrating primarily on the fantastic end result and working back from there. That end result can easily vary from a large scale event to a different way for people to experience a stand at an exhibition. We aim to apply the same ethos to all sizes of experience. We always begin with a brief of the creative project first prior to working on the software or hardware required. We take each project as an individual and independent entity. We believe that technology can be fitted around it rather than the other way round. For example, if you can use a standard burglar alarm sensor to trigger content rather than a complex tracking system then do that – although we do complex tracking as well! We are project driven rather than technology driven and don’t shoehorn technology and expense in to the detriment of creativity. One size doesn’t fit all even if the brief looks incredibly similar to another from the outset. I believe, that from the client’s point of view, the recognition that we are now partnered with disguise definitely contributes to Immersive’s credibility. But it also helps us to focus on what we do best. We are not a rental house – we are an integral part of the creative workflow. And I believe It also brings Immersive AV experience into disguise. The partnership enables both companies to explore integration that we may not have had access to otherwise, combining our extensive experience of interaction with real world events with disguise playback power. It offers work outside of large touring shows, providing a diversification of projects across all markets from installations to live events, wherever and whenever they are.